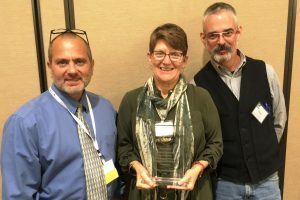 Susan Hoskins, senior extension associate in the Soil and Crop Sciences Section of the School of Integrative Plant Science, was given a Lifetime Achievement Award by the New York GIS Association. Susan was recognized for her more than 20 years’ experience in aerial photo interpretation and mapping, and for her service with youth education through 4-H where she captivates audiences with activities related to geospatial technologies using GIS and geographic positioning systems technology. Hoskins commented. “It was humbling to be recognized by my GIS colleagues for education and extension contributions to the community. The award speaks to the support our Section, School and College provide for geospatial extension in New York and the value that work has to a wide range of stakeholders.” Indeed, many of those who have participated in 4-H know Hoskins best for her enthusiasm and tireless commitment to getting youth interested in science. Her Drone Discovery curriculum was piloted in 2016 at 4-H Career Explorations, an event attended by 380 students from around the state. 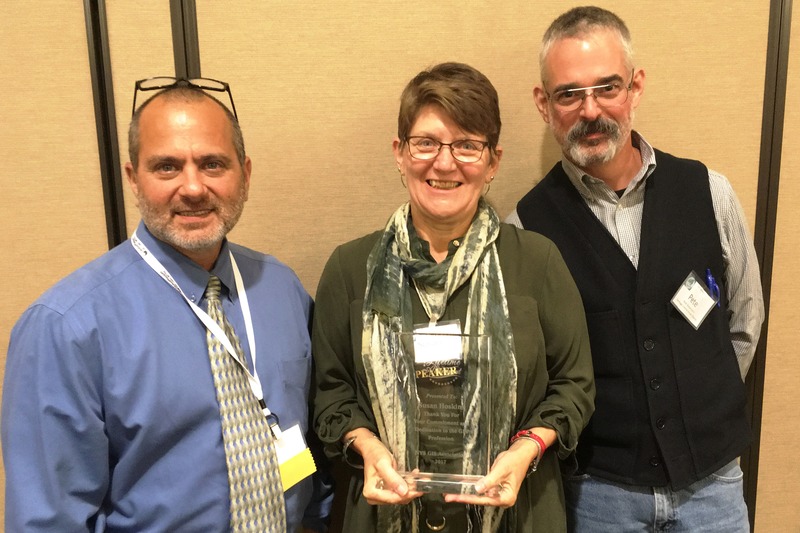 The award was presented at the 2017 NYGeoCon annual conference in October at Lake Placid, NY. The NY GIS Association’s mission is to support and promote the GIS (Geographic Information Systems) profession. 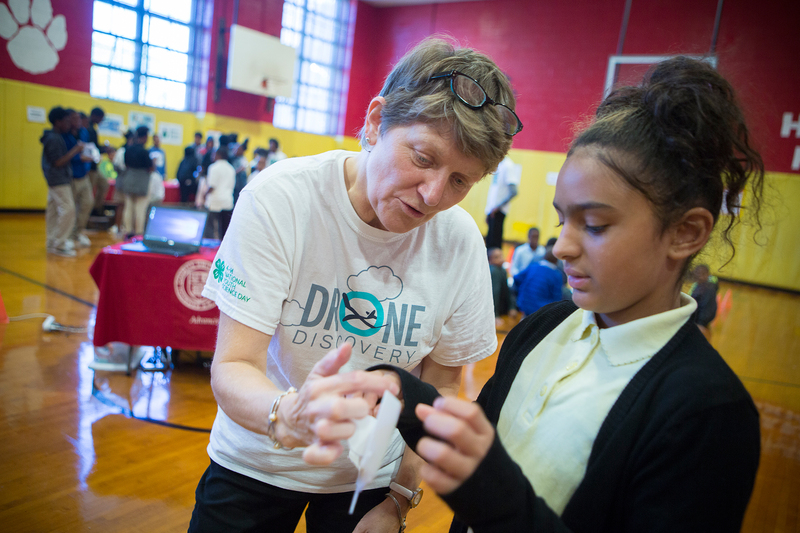 Hoskins works with youth at a Drone Discovery Workshop, part of 4-H National Youth Science Day at Public School 21 in Brooklyn.